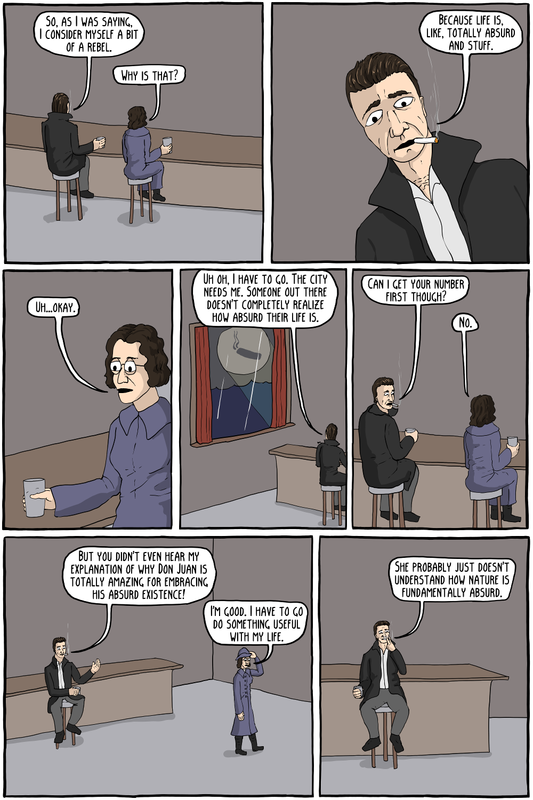 Is this comic unfair to Camus? Yeah, but that's just part of the absurdity of the world, you know? In The Myth of Sisyphus Camus explain how the world was totally absurd, but an "Absurd Hero" could fully recognize the absurdity, and still find meaning and joy in life by being super cool and stuff.